At the end of the first week of the month I shared my February Goals with you, namely to finish a king size quilt top. (Why oh why did I pick the shortest month of the year to do this!?) At any rate, I've been making steady daily progress on the project, due in large part to Sarah's 4x7 Sewing Challenge. This was especially true as I got to the boring stage of this project. Ta da! It took all week to get to this point, so I must confess, I also did some other (read as: more exciting) sewing. 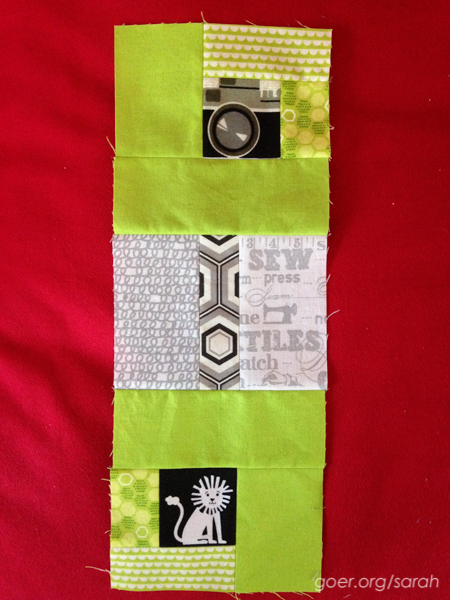 Some I'll show you later, and here is my first block for my Patchwork City quilt. I'm making the Metro Area quilt with Intrepid Thread's BOM. I cut (and fussy cut) all the bits for all three blocks that will make the larger 14" block in this color scheme. I look forward to getting more of it put together. 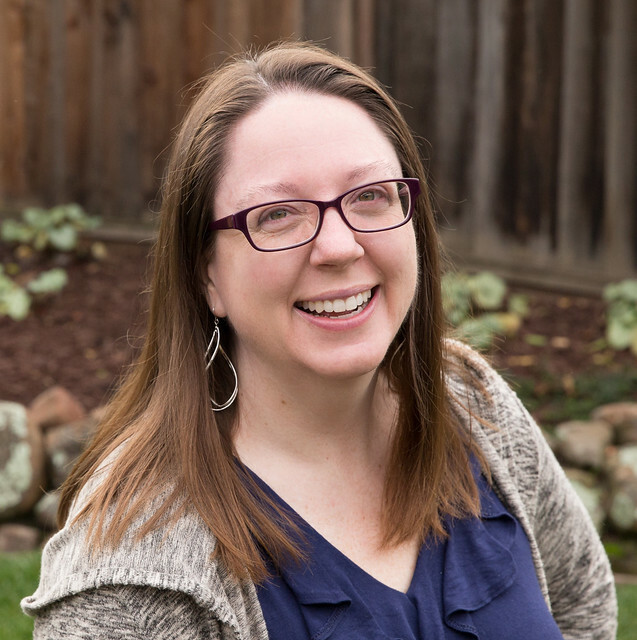 I'm linking up to Sarah's 4x7 Sewing Challenge for Week 2. Posted in Quilting. 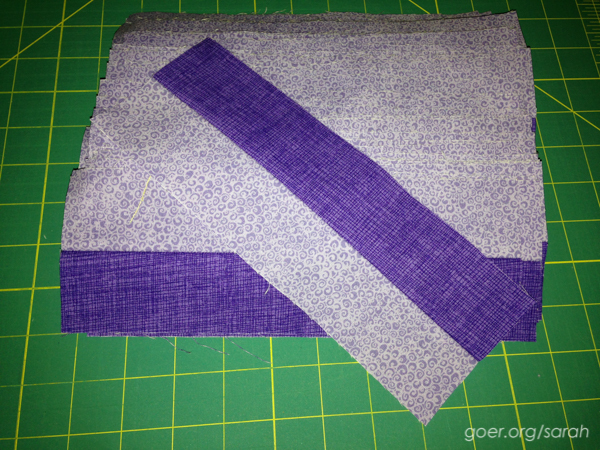 Tags: 4x7 sewing challenge, ALYoF, purple ninja quilt on February 15, 2015 by sarah. Yay! I expect to have more fun with this project this week as well. :-) That's a LOT of HSTs. Nice work on your project! Though it might not have been exciting (or photo worthy!) you accomplished a lot this week! Don't be too hard on yourself Those fussy cut bits for your Patchwork City quilt look great. Love that lime green! Thanks Jenn! I'm totally pleased with my progress this week... it's just not real fun to look at. I actually also finished my blocks for the IG Rainbow Mini Swap which is awesome. Looking forward to making progress making blocks for my 4x7 challenge project this week.